This December, we want to see YOU in Philadelphia as we ring in the COGEL Conference’s 40th year! On-line registration is closed, but you can register on-site at the conference! The well-known COGEL Conference is the top destination for learning what’s new in the fields of campaign finance, governmental ethics, elections, lobbying, and freedom of information. 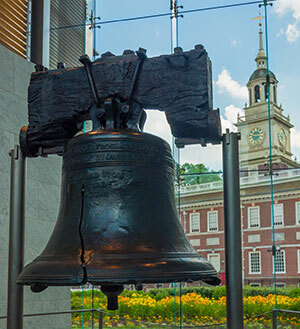 Mark your calendars, so you don’t miss this incredible opportunity to connect with experts from across the U.S. and Canada in a city where you can contemplate independence, salute liberty, and celebrate freedom. There is so much to look forward to at this year’s 40th Annual COGEL Conference! Join us for a fresh and dynamic program of 45+ educational breakout sessions focused on cutting-edge and emerging topics led by over 125 engaging experts. In addition, we promise a stellar and thought provoking line-up of plenary speakers. These breakout and plenary sessions are sure to keep the streets of Philadelphia buzzing with conversation! Conference favorites – including Breakfast Table Topics and the COGEL Dine-Arounds – are also part of the programming, providing attendees with valuable formal and informal networking opportunities. The 2018 COGEL Conference offers something for everyone. Each day provides a variety of sessions and experiences for learning and connecting, so that you can return to your agencies and organizations inspired with new ideas. Gain invaluable insights as experts from 85+ jurisdictions debate and discuss the most critical issues in the fields of campaign finance, governmental ethics, elections, lobbying, and freedom of information. Hone your professional skills via numerous interactive and engaging trainings. Learn about the latest legal developments in your field from leading lawyers at the most prominent U.S. and Canadian law firms and law schools. Expand your connections during multiple networking opportunities throughout the conference, including extended networking breaks, luncheons, and receptions. Networking Dine-Arounds! Continue the conversation at a local restaurant while expanding your COGEL network! We’ll even select the restaurants, recruit the coordinators, and make the reservations for you. All you have to do is sign-up and show up!